Lee argued and supposedly used heated language with volunteers after being asked to move out of seats reserved for International Olympic Committee (IOC) members in the Olympic Family section. He did not have the correct accreditation for the seat. According to KBS news, Lee "is reported to have yelled, and created a domineering atmosphere" during the exchange. He reportedly ignored repeated requests to move and was angered by the volunteers' attempts to instruct him. The Korea Times report that he said he would not move "until IOC President Thomas Bach comes here" while another KOSC official was quoted as saying: "The IOC is nothing...we are the host nation." Some details of the incident remain hazy and it is not completely clear what language he used, how many volunteers were involved or whether the official eventually moved seats. Lee has since issued an apology and met with volunteers at the cross-country venue. A statement from the KOSC sent to insidethegames confirmed he had said sorry to volunteers without revealing exactly what he was admitting responsibility for. Lee also supposedly praised the "hard work of the volunteers" and expressed hope they would continue to contribute to the success of the Olympic Games. 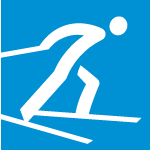 Pyeongchang 2018 and the International Olympic Committee (IOC) are declining to comment in detail about the incident as it involved only a KOSC official. "We saw the articles and that’s how we came to know about this incident," said Pyeongchang 2018 spokesperson Sung Baik-you today. "Based on my knowledge, President Lee does have the authority to sit in that zone. "There are some times when the seats are empty, they are seats assigned to the Olympic Family, those seats were assigned to the IOC. "The volunteer told them the seats were already reserved and, I think, President Lee said he would move when they arrived. "I think the story is all ended and the Korean Federation [NOC] has already made an announcement so I don’t think the Organising Committee should make any comment about it, and I don’t think the IOC should either. "This was a conversation, maybe a heated conversation." The incident unfolded at the same time as British IOC member Adam Pengilly was sent home from the Games following a similar exchange with a paid security guard while entering a transport mall close to the Olympic Family hotel. Pengilly apologised for refusing to obey instructions to take a longer pedestrian route to his transport, swearing, and for then running past the guard and ignoring his requests to stop. He denies reports that he pushed the guard for 30 metres along the floor and using racist language about South Korea. There are suggestions that the latter incident escalated further because it involved a foreigner and was thus more culturally sensitive. There have also been suggestions that Pengilly was treated more harshly because he has been a frequent critic of the IOC leadership and was the only member to vote against the ruling Executive Board's response to the Russian doping scandal in 2016. Lee was elected as the first head of the KOSC in October 2016 following a merger between the Korean Olympic Committee and the Korean Council of Sport for All. Lee had stood down after six years as President of the Korean Swimming Federation in March 2016 following allegations of bribery, embezzlement and fraud in national team member selection while he in charge.